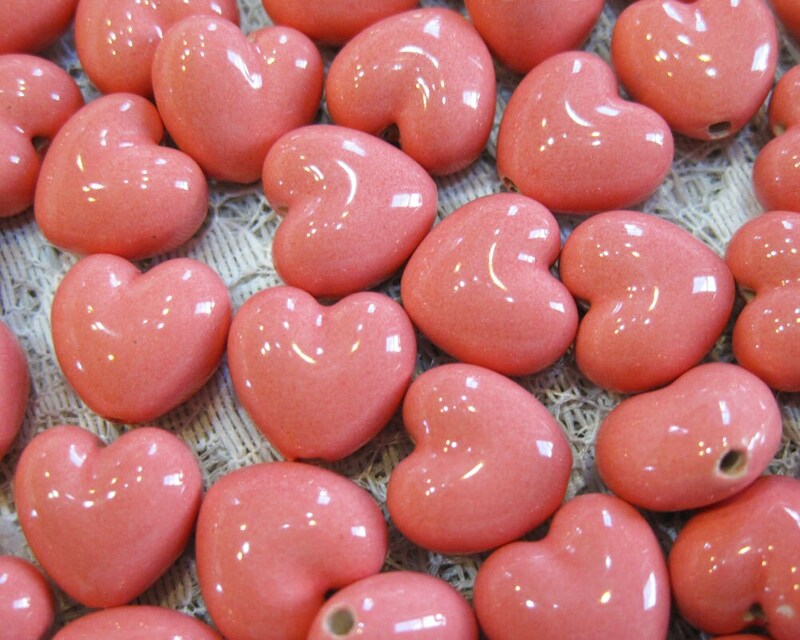 These adorable pink puffy heart beads were hand-crafted in Peru. Because they are handmade there are slight variations in the sizes of the beads and in the sizes and positions of the holes. They are about 13 mm tall, 13 mm across the front, and 8 mm thick, with 1 mm vertical holes. Perfect earring beads! You will receive 6 beads.